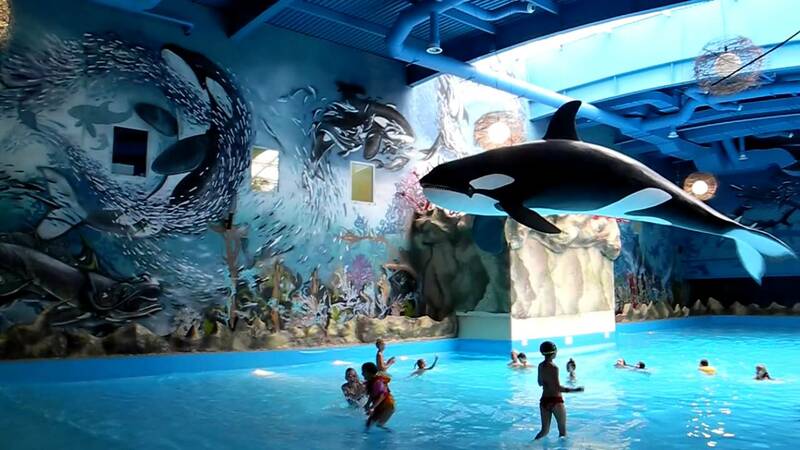 “Nemo” – it one of greatest dolphinarium and favourite place for children and adults. The hall is able to place up to 1000 persons. Here you will be able not only to look presentations but also swim with dolphins. The temperature in the pool is 24 degrees. Experienced instructors will explain what can be done, and what is impossible. 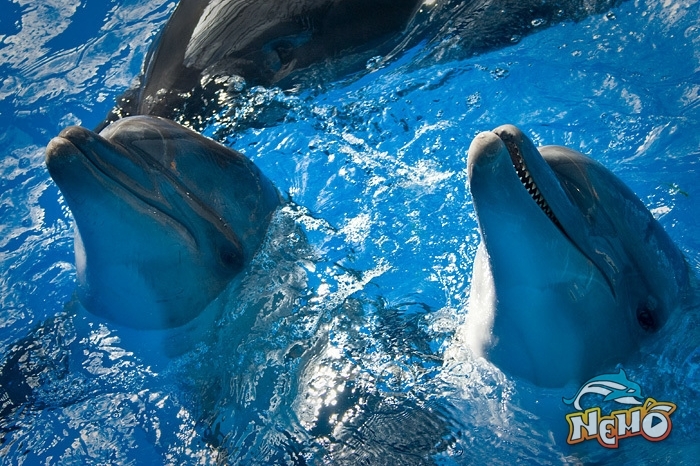 The visit of dolphinarium” Nemo” will present the enormous amount of positive emotions. 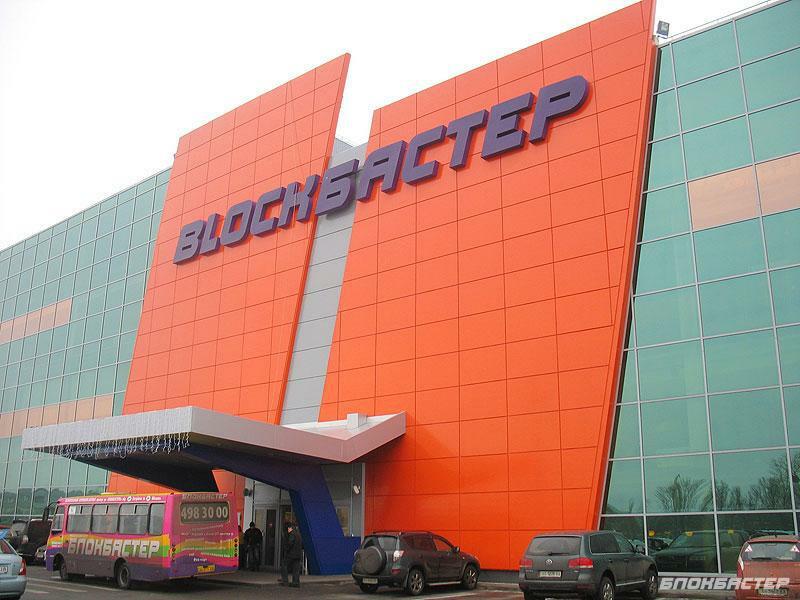 “Blockbuster” – is one of the greatest entertaining centers in the capital. This excellent resting-place for adults and for children. Two cinemas, skating rink, carting, bowling, shooting-gallery, attraction “bull-rodeo” and many others. Game machines are set in child’s zone. In comfortable cafes and restaurants you can eat and rest. For visitors arriving on an own car, there is the comfortable parking. Kyiv Zoo was founded in 1908 . The number of animals is constantly growing and today the park covers an area of ​​about 40 hectares. It is home for over 4,000 kind of animals from around the world and grow 130 species of shrubs and trees . Conducted various scientific works . 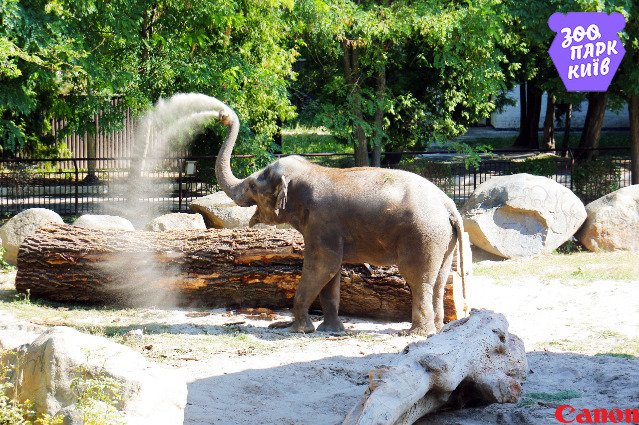 You can enjoy sightseeing tour around zoo park. Entrance for children under 5 years old is free. Aquapark «Dream Island» is one of the most famous aquaparks in the country. This piece of the lost world, an island on which inhabit prehistoric animals . There are 14 water slides, two wave pools, jacuzzi, 9 different bath and akvabar, which can accommodate 55 people. A special children’s area, about 700 square meters, is equipped for the youngest visitors. Aquapark «Dream Island» – this is a great place for an unforgettable vacation . January 14, 2013 on the Landscape alley opened a most unusual place in Kiev , which like not only children but also adults. We are talking about the playground called “Two Worlds”. Such an art project became the first and only in Ukraine. The purpose of its creation is to entertain and educate children. At the playground put conceptual composition of sculptures that seem to be divided into two opposing world: good and evil. The first is represented by law-abiding citizens who contribute to the development and prosperity of the world. And next door is the world of corruption and financial fraud, stylized desert-dwelling in it scorpions, spiders and snakes, which violate the rights of other citizens. All of this is presented in the form of whimsical sculptures. Art-pad so allegorical thought that even an adult is hard to understand, which means this or that object. In order to explain everything you need to get acquainted with are on the plate at the entrance to the park poem that explains the meaning of the whole project and each sculpture separately. The author of this site has become a sculptor Constantin Skretutsky. Now the children in an accessible form will learn the basics of economics and learn how to become a good citizen. Pechersk Landscape Park appeared in 1981. At this time, the authorities decided to build a memorial complex of the National Museum of the Great Patriotic War, so the surrounding territory was necessary to bring in proper form. Park itself covers an area of about 40 hectares and actually surrounds the museum complex crescent, so it has several entrances into its territory. At the end of the 80s of the 20th century in the heart of the Caves Park arranged the Song Festival Grounds and since these two concepts have merged. Today is the traditional venue for the annual cultural events mass character: concerts, festivals and exhibitions. I should add that from any point of the Caves Park offers beautiful views, it is not surprising that this place is loved as the people of Kiev and visitors to the city. Hydropark, or Hidropark (from Ukrainian: Гідропарк) is a landscape-recreational park on the Dnieper River in Kiev, Ukraine. It was created as an entertainment complex with mainly water activities: beaches, boating, water attractions. It is located on Venetian (Ukrainian: Венеціанський) and Dolobetsk (Ukrainian: Долобецький) islands; the Venetian Bridge connects these islands. Venetian island is connected with the rest of Kiev by two bridges: the Metro Bridge to the right-bank city and the Rusanivka bridge to the left-bank city. The Hydropark station of Kiev Metro is located on Venetian island. Current activities available: number of beaches (including one for children and one for nudes), boat and catamarans rental, ping-pong and tennis, paintball and football, water attractions, restaurants, casino and Sun-City Slavutych disco club (right on the beach), open-air gym (Soviet era heritage) and riverboat excursions. Askold’s Grave (Аскольдова могила) is a historical park on the steep right bank of the Dnieper River in Kiev. After establishing the Soviet regime in 1934 Kiev City Council issued an order to convert the old graveyard with some 2,000 burials around the Church of St. Nicholas in a park. As the story goes, it marks the place where Prince Askold of Kiev was buried in the 9th century. Kyiv in Miniature (Ukrainian: Київ в мініатюрі) is a park of miniatures, situated in Kiev in the area of Hydropark. There are exposed models of Kiev architectural sightseeings, in the scale of 1:33. The park’s area is 1.8 hectares. It was opened on 23 June 2006, the closest metro station to it is Hydropark. There are 48 miniatures in the park, including Independence Square and Khreschatyk, Kiev Pechersk Lavra, St. Michael’s Golden-Domed Monastery, Golden Gates, Saint Sophia Cathedral, Mother Motherland Monument, Kiev Passenger Railway Station, Boryspil Airport and others. In the center of town is an interesting park, which closes on all four sides of three streets and avenues, and in front of it stands the main building of the Kiev National University named after Taras Shevchenko. University Park area of 5.8 hectares was opened to visitors in 1890. Previously, the area was used as farmland. In a small area talented gardener Karl Christiani was able to arrange a park complex. Through the park laid out two main avenues at right angles to each other and overlapping exactly in the center, forming a circular area. Complement their multiple diagonal paths and wide alley, covers the perimeter of the square. Throughout the park are broken numerous flower beds and planted a lot of firs and deciduous trees, each alley benches. In 1898, in a park with a monument to Emperor Nicholas the First. In 1920 it was demolished. After 19 years in its place appeared a monument to Taras Shevchenko . The solemn event was timed to the 125th anniversary of the birth of the great Ukrainian poet and writer. From that day I became known as Shevchenko Park. The author of the monument was made by the famous Russian sculptor and artist Matthew Manizer, also known as the author of the death mask of Stalin. The M. M. Gryshko National Botanical Garden is a botanical garden of the National Academy of Sciences of Ukraine. It is named after the Soviet botanist Mykola Hryshko who was born in Poltava. Founded in 1936, the garden covers 1.3 km² (120 hectares) and contains 13,000 types of trees, shrubs, flowers and other plants from all over the world. It has many coniferous trees and honey locusts, and flowers such as peonies, roses, magnolias, and bushes including lilacs. The garden has hothouses, conservatories, greenhouses and rosaries. It is the most popular amongst the residents, where one can see exotic plants, and attend flower exhibitions. The blooming lilacs at the end of spring are popular in the central garden. The Vydubychi Monastery and Trinity Monastery of St. Jonas are located on the grounds of the botanical gardens. One of many things to see in the garden is its collection of lilacs and magnolias. Blossom of these plants attracts people from all over Ukraine to visit the garden. In the garden you can find 21 different kinds of lilac and there are only 28 kinds of it in the world. The territory of the garden is divided into floristic complexes, such as Ukrainian Carpathians, Plains of Ukraine, Crimea, Caucasus, Central Asia, Altai and Western Siberia, Far East. In every zone plants typical for particular region can be found. Geography and landscape of each territory were recreated as well. Also the garden has large collection of unique and rare tropical and subtropical plants that are represented in the greenhouse. The Botanical garden can impress with more than 350 species of orchids. Volodymyrska Hill or Saint Volodymyr Hill (Ukrainian: “Volodymyrska hirka”, Russian: Влади́мирская горка, Vladimirskaya gorka) is a large 10.6 hectares (0.106 km) park located on the steep right-bank of the Dnipro River in central Kiev (Kyiv), the capital of Ukraine. Its most famous and prominent landmark is the monument to St. Volodymyr of Kiev. The monument, with its prominent location and overlooking the scenic panorama of the left-bank of Kiev, has since become one of the symbols of Kiev, often depicted in paintings and photographic works of the city. Volodymyrska Hill park was established in the mid-19th century, its name reflecting the monument to St. Volodymyr of Kiev which was erected in 1853 in the park. Volodymyrska Hill originally only referred to a park located at the highest and middle terraces of the historic St. Michael’s Hill, which was named after St. Michael’s Golden-Domed Cathedral and Monastery. However, the name “St. Michael’s Hill” went into decline after destruction of the cathedral and the renaming of local streets by the Soviet regime in the 1930s.